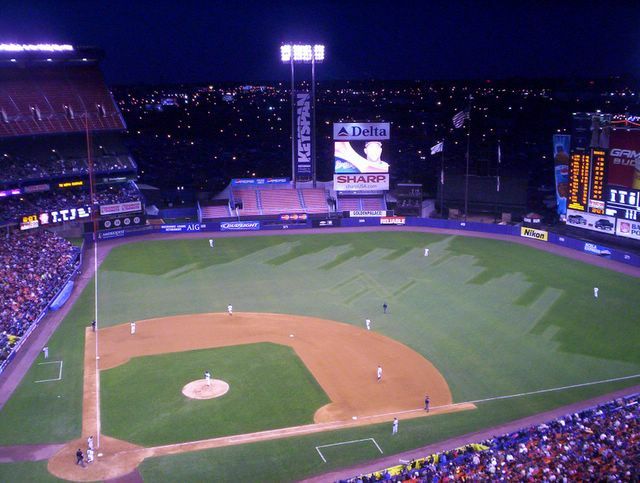 Last night I went to my first ever baseball game at Shea Stadium. The New York Mets were taking on the Atlanta Braves. 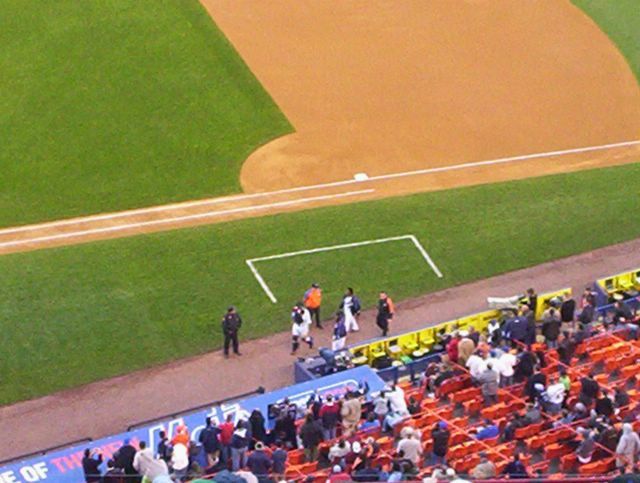 Pedro Martinez started for the Mets while John Smoltz started for the Braves. The Braves in the first inning got three runs and would later add another. 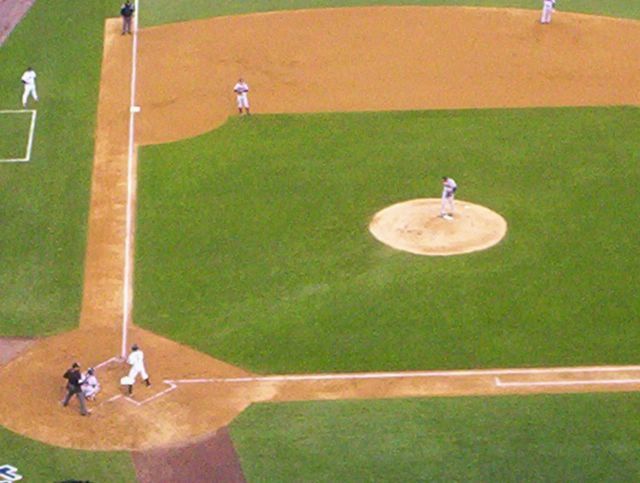 The Mets until the ninth, only scored one run. In the ninth inning with two out the Mets scored to runs and a pinch hitting Mike Piazza on third base as the tieng run. To bad the next hitter popped out. 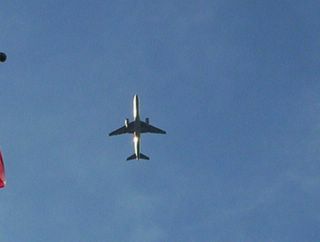 But all in all it was a fun outing. 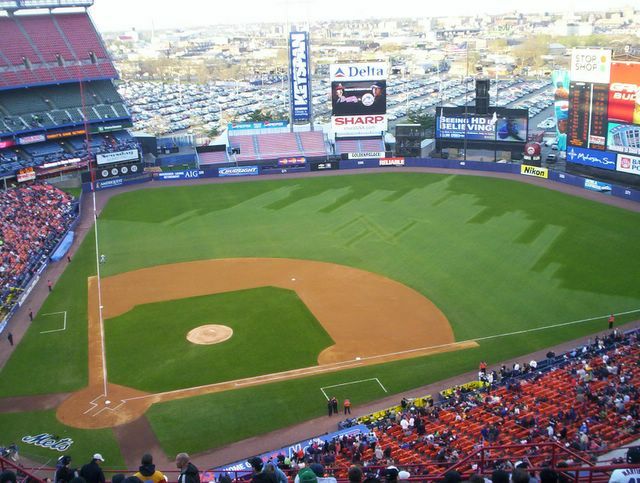 I look forward to another baseball trip this weekend to Yankee Stadium to see the Toronto Blue Jays take on the New York Yankees. Getting of the 7 Subway train you are greeted by this spectacle of Shea Stadium. 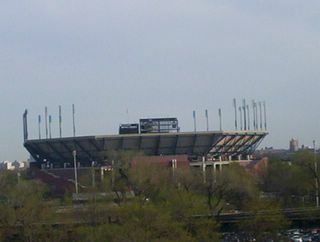 Going up the ramps to my seat I spotted the Arthur Ashe Tennis Stadium. 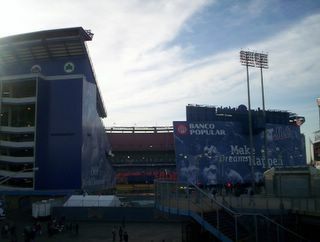 Home of the US Open Tennis Tournament. 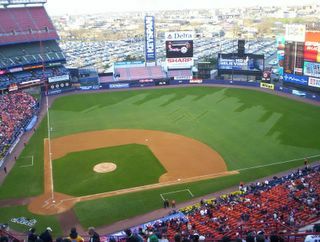 A look before the game of Shea Stadium's field. Pretty impressive for my first time. 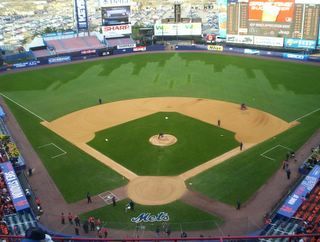 The view of the Shea Stadium diamond from my seat just after the grounds crew has finished there work. PEDRO! Here comes Pedro Martinez to the Met's dugout before the game. John Smoltz, on the mound, getting ready to pitch. Shea Stadium is perhaps one of the noisest stadiums in all of the major leagues. Why? 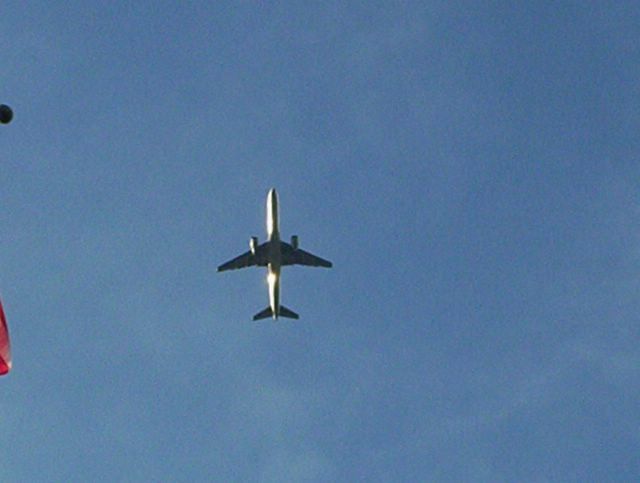 Not the fans, but the hundreds of airplanes that go over the stadium in their flight path from New York's LaGuardia Airport. 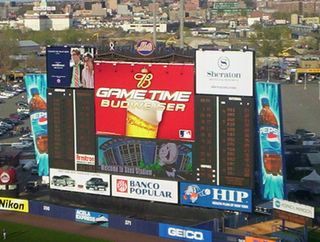 A look at the center field scoreboard at Shea Stadium. 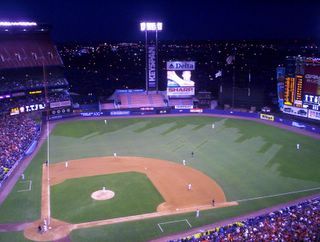 A view of Shea Stadium at night. Kinda different from the day time.